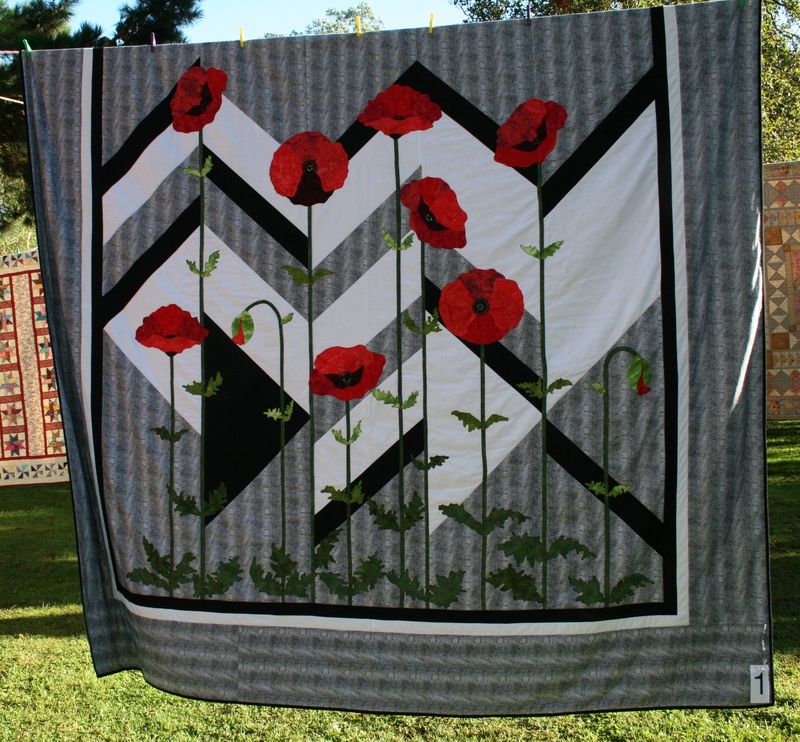 Here are some more pictures for you to look at and hopefully offer inspiration for forthcoming projects.A big thank you to Julie for being our resident photographer. 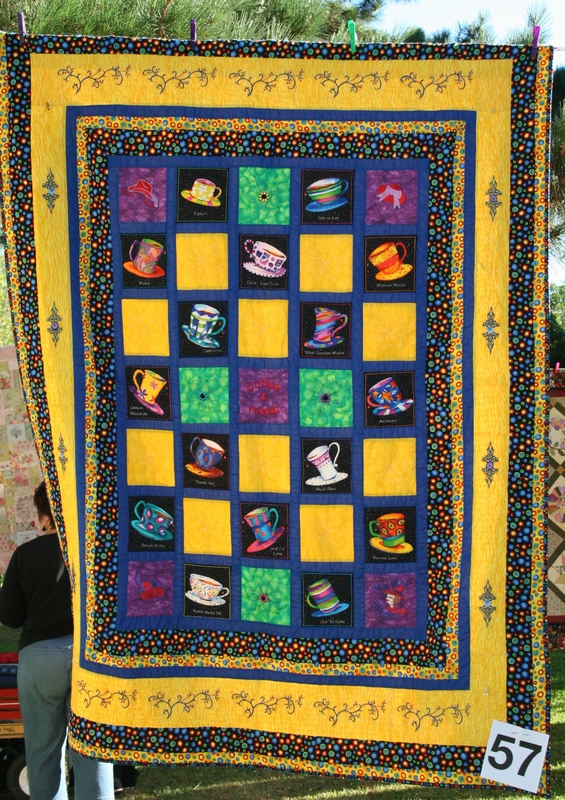 This was made and quilted by Jane Warren who also won the Best Experienced category. 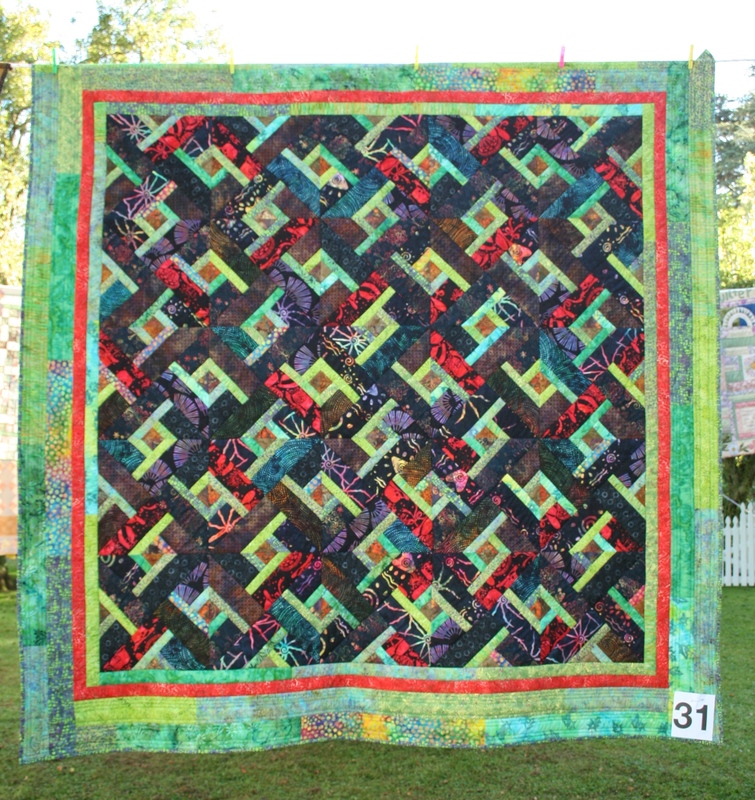 ‘Your Time Is Now’ Pieced & machine and hand quilted by Linda Johnson. 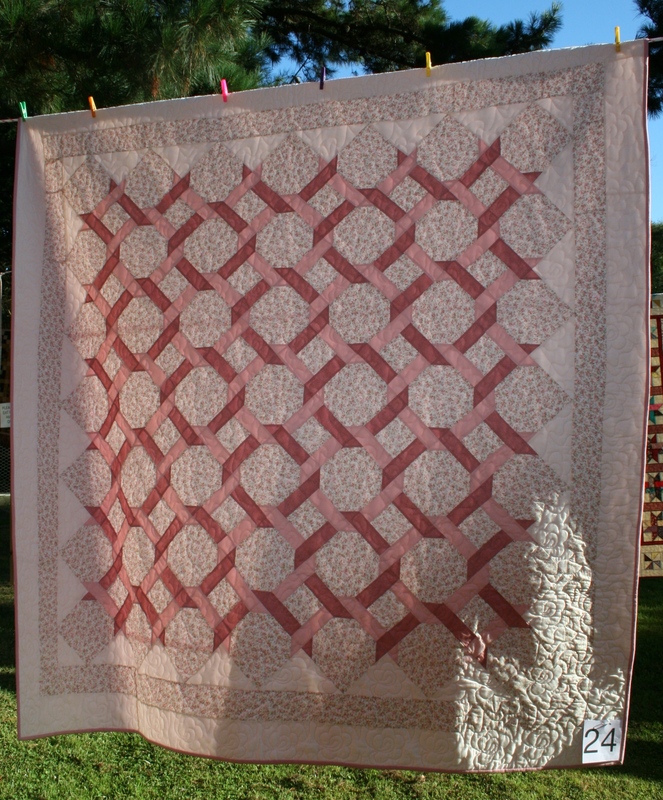 ‘Blake’s Quilt’ Pieced and quilted by Lee Nattrass. 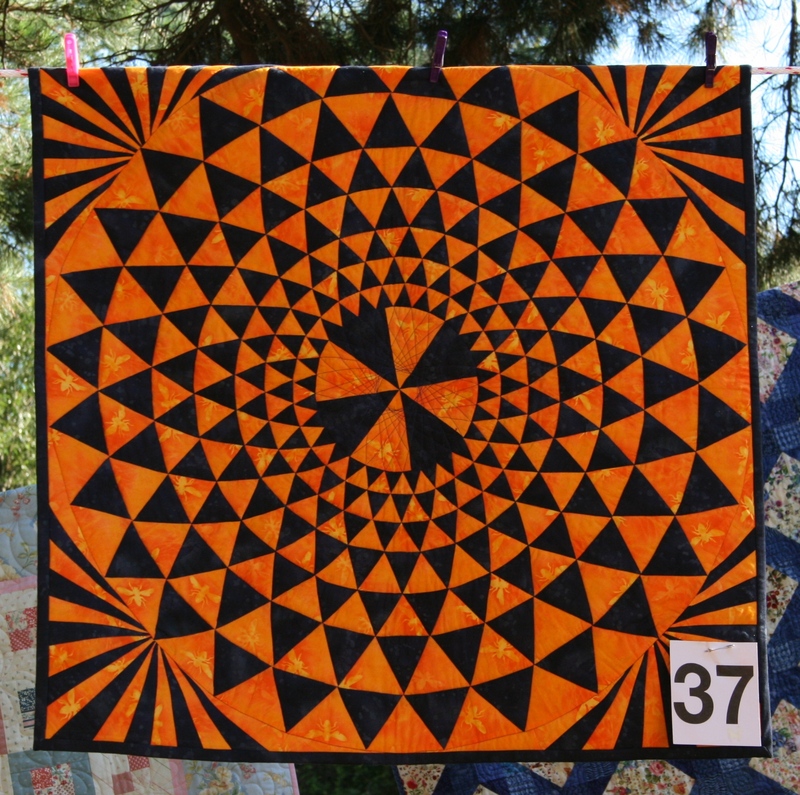 ‘Whirlwind’ pieced by Helen Boynton and quilted by Sue Burnett. 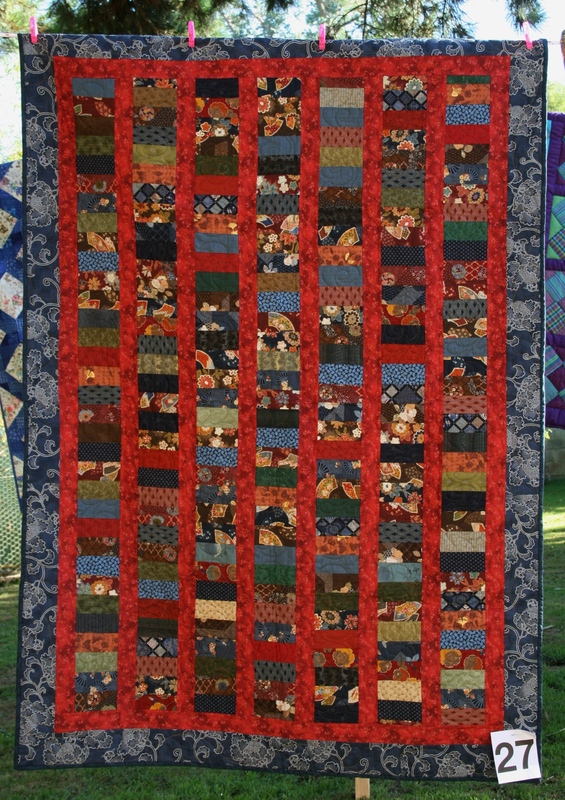 ‘Poppy Quilt’ pieced and quilted by Sandra Killin. 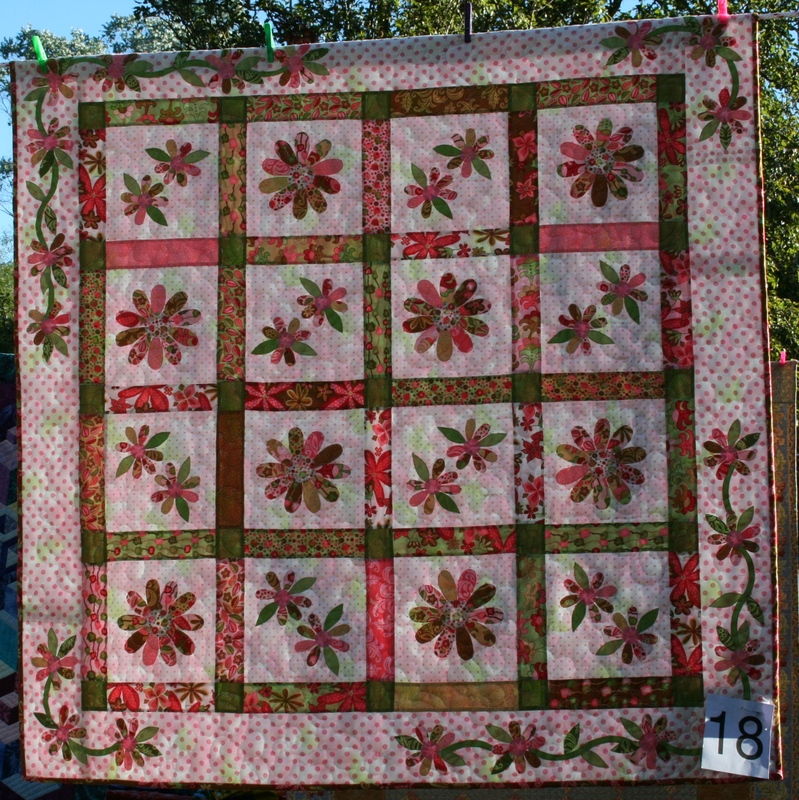 ‘Sweet Pink Daisies’ Pieced by Adrienne Nelson quilted by Sue Burnett. 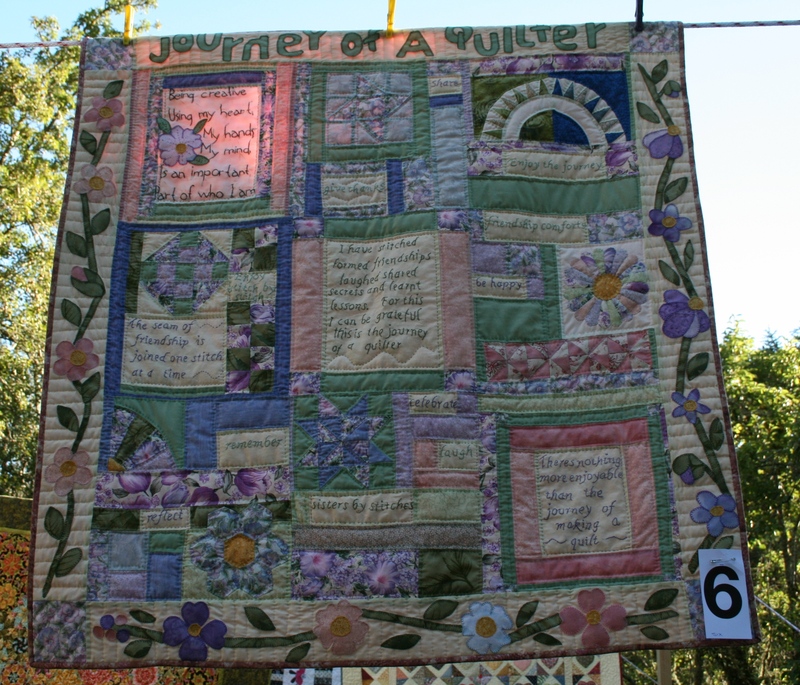 ‘Journey of a Quilter’ pieced and quilted by Sylvia Lambert. 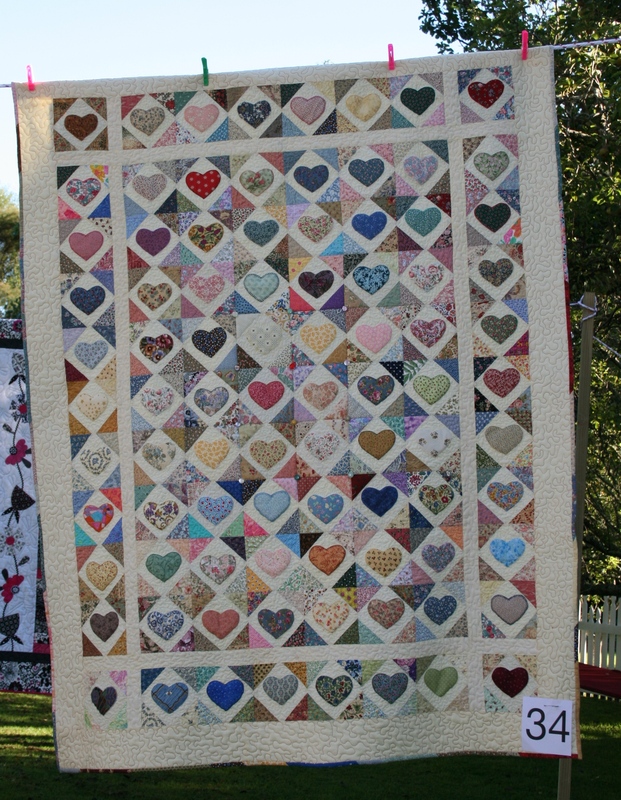 ‘Lots of Hearts’ Assembled and quilted by Judy Betts. 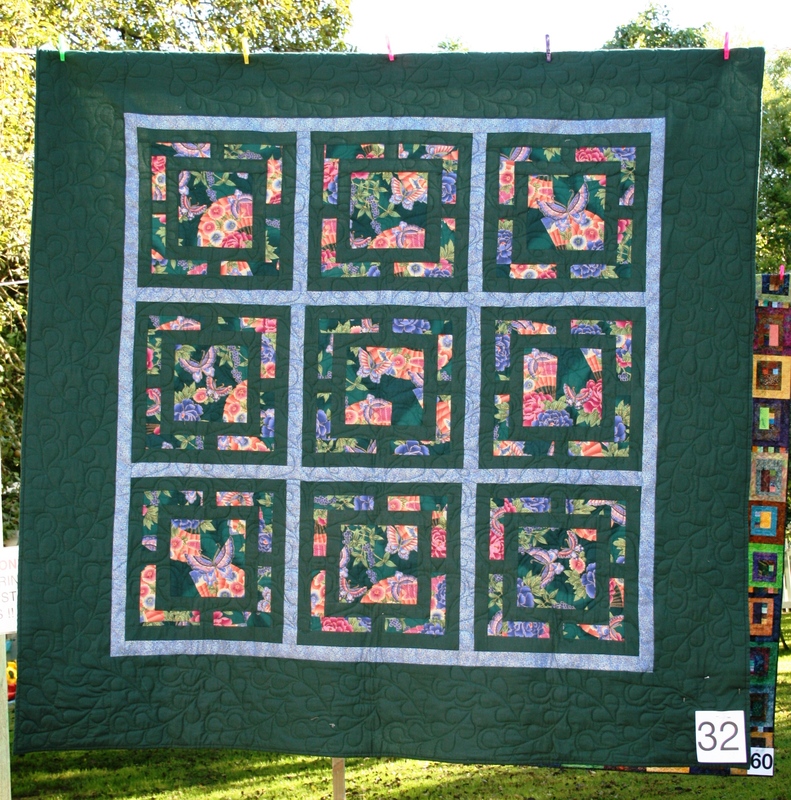 ‘Not My Grandmothers Garden’ Pieced and Quilted on Sue Burnetts Long Arm by Jocelyn Thornton. 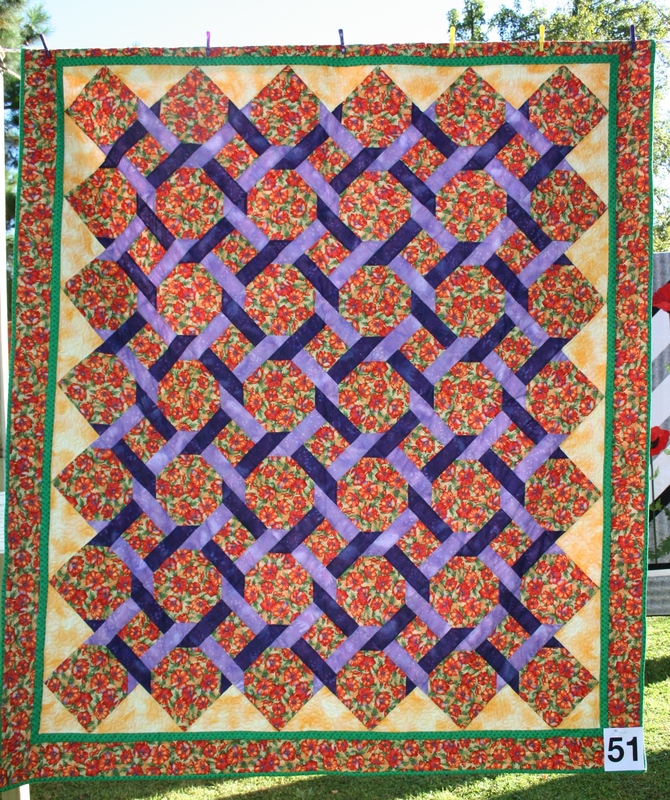 ‘Mariposa Melody’ pieced by Joyce Humphrey and quilted by Julie Lister. 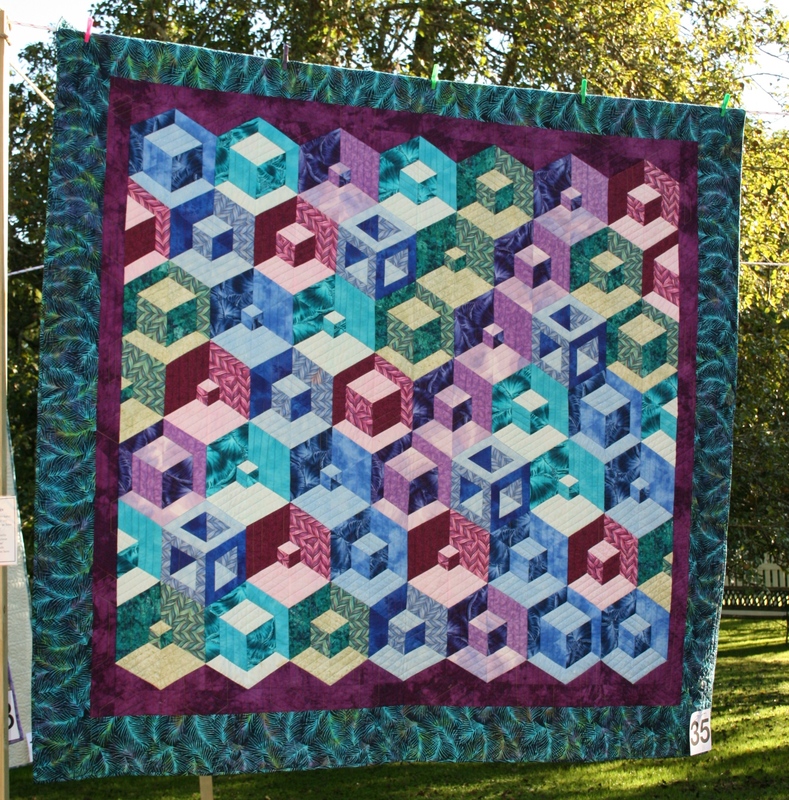 ‘My Colours Cubed’ Pieced and quilted by Jan Nankivell. 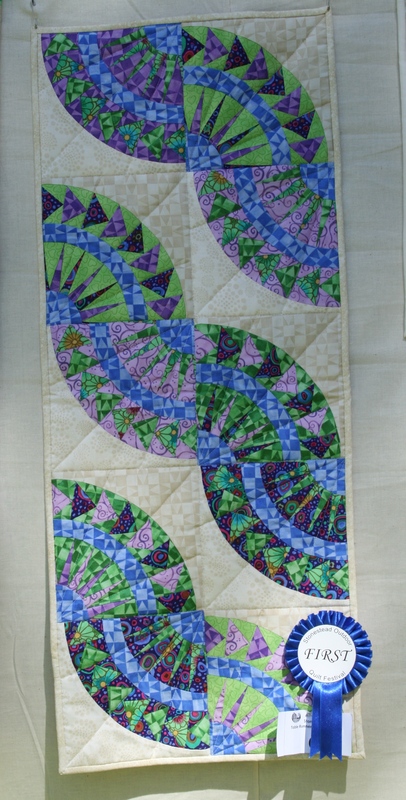 ‘Gathering Paua Shells’ Pieced by Betty Newell and quilted by Sue Burnett. 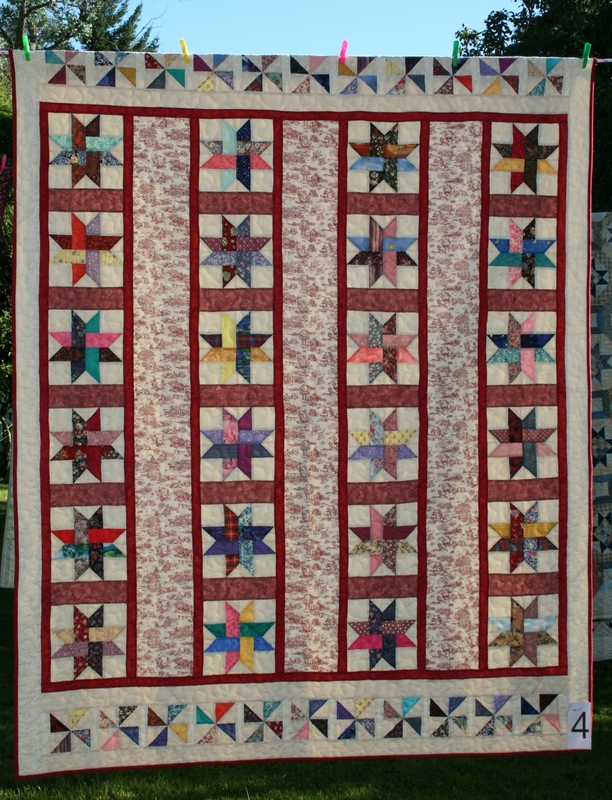 ‘Starlight’Pieced and quilted by Maureen Adams. 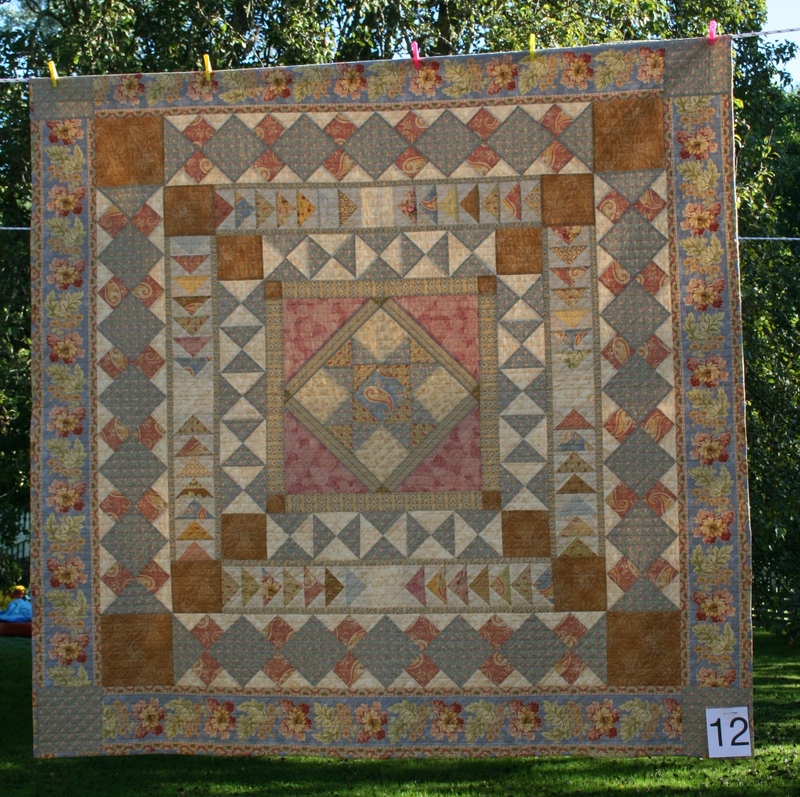 ‘Tree of Life’ Pieced by Beverley Featherstone and quilted Helen Hagan. 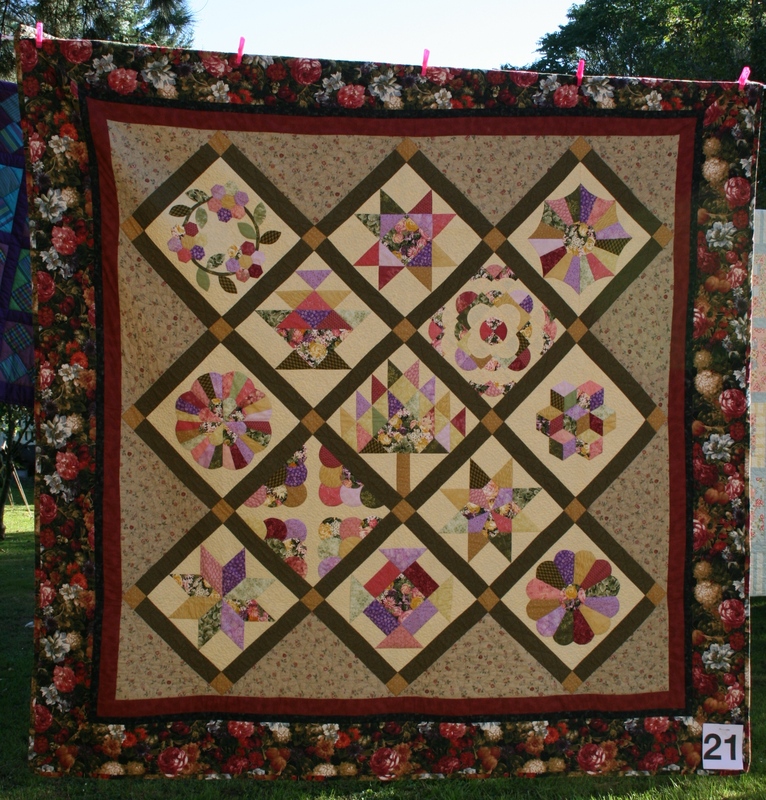 ‘Chinese Coins’ Pieced by Liz Cocker, Beverley Dixon and Bridget Shannon quilted by Sue Burnett. 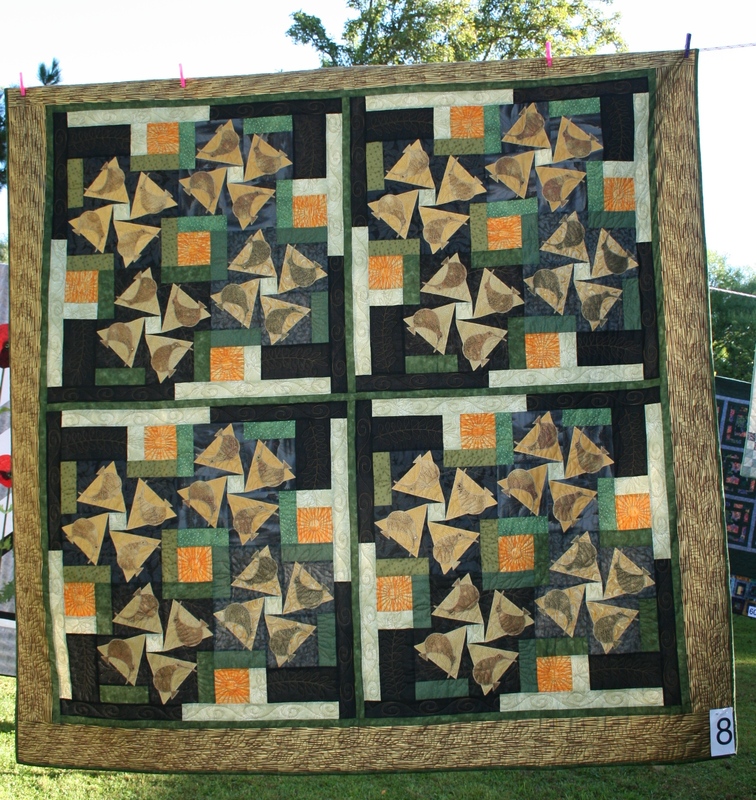 ‘Bug-aah’ Pieced and Quilted by Jan Nankivell. 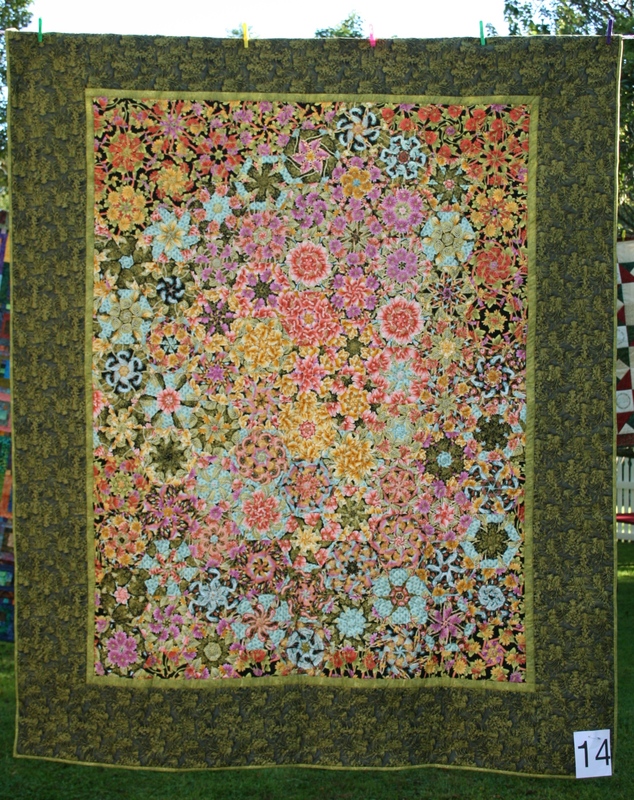 ‘Polka Dot Girls’ Pieced, embroidered and quilted by Irene Anderton. 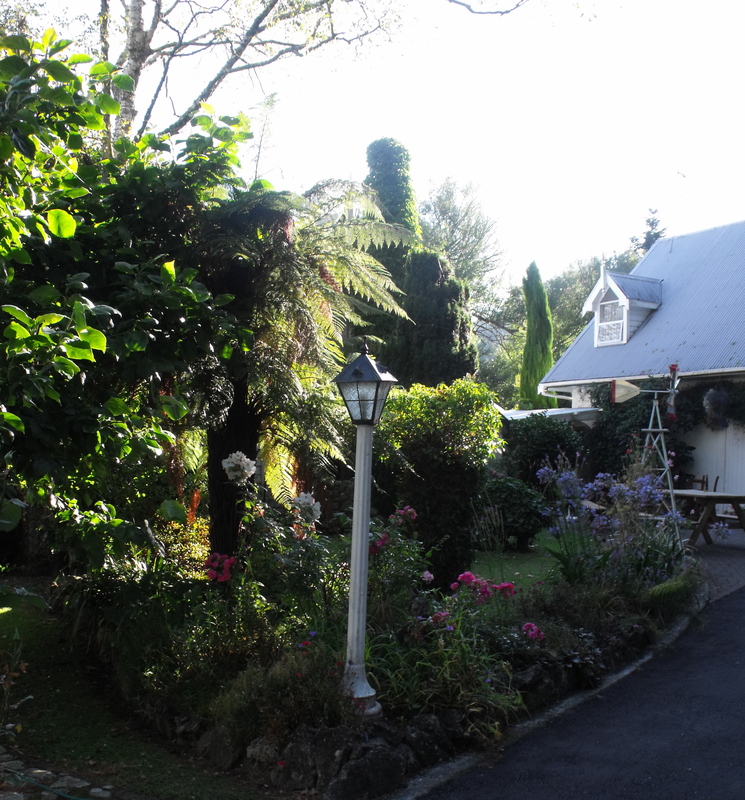 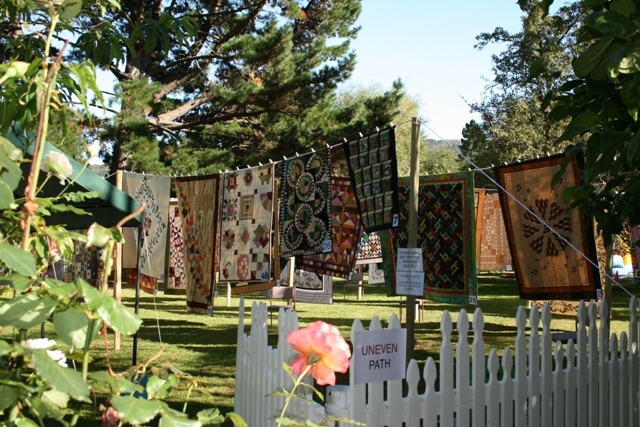 The quilts on display, have a great week and more pictures in a few days time. 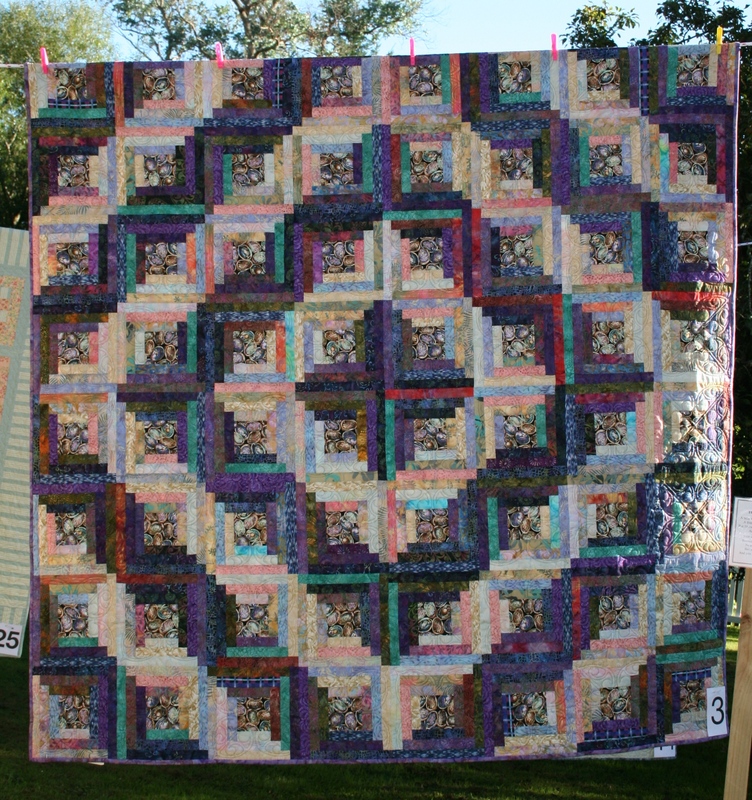 Well, this is how the morning of Sunday 7th February began prior to the quilts being hung for the 2nd Annual Stonestead Outdoor Quilt Festival, it dawned a little dull, but the day promised to be sunny and a little breezy. 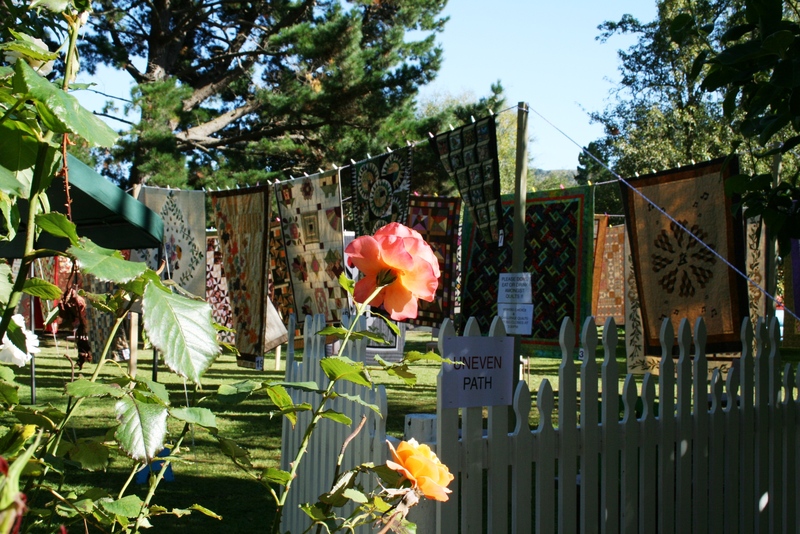 And this is what it looked like just prior to judging, what a fabulous day, we had over 60 quilts this year in comparison to just over 40 last year and then we had the challenge as well, but most importantly we raised $852.30 for Te Omanga Hospice, what a terrific result, we have heard from Helen Kelland who is the Fund Raising and Marketing Manager and she is just delighted, for those who were with us you will have seen Helen present the certificates on the day. 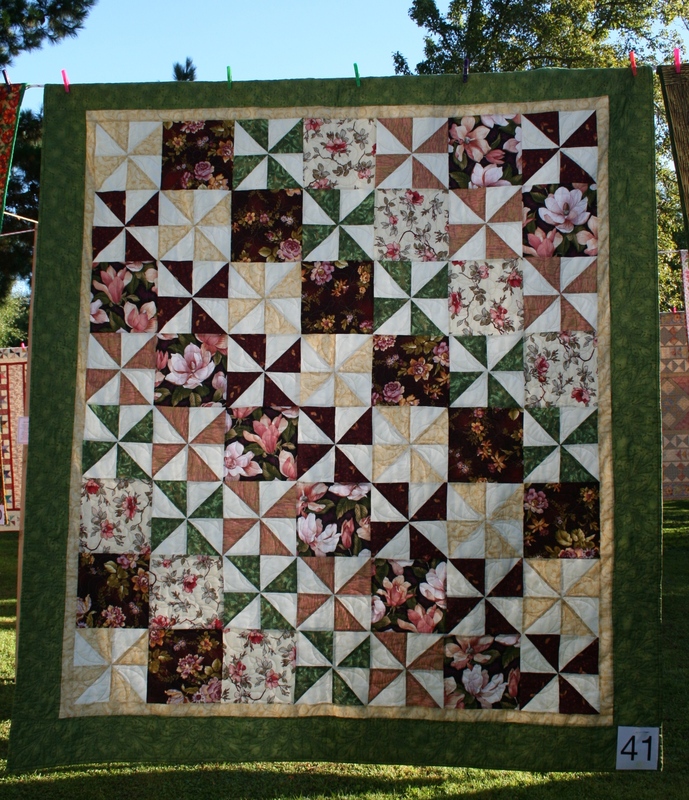 There are still lots of photos to put on here, and the ones pictured are just a small example, so keep coming back to check. 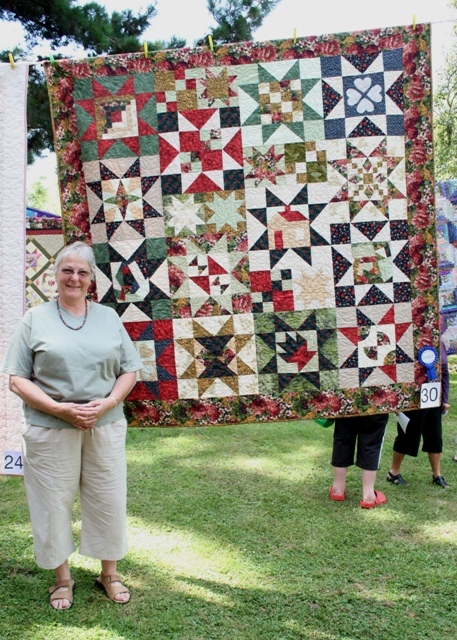 This is Dorothy Drake our winner of the Novice category, she won this with her ‘Star Beginnings’ Quilt. 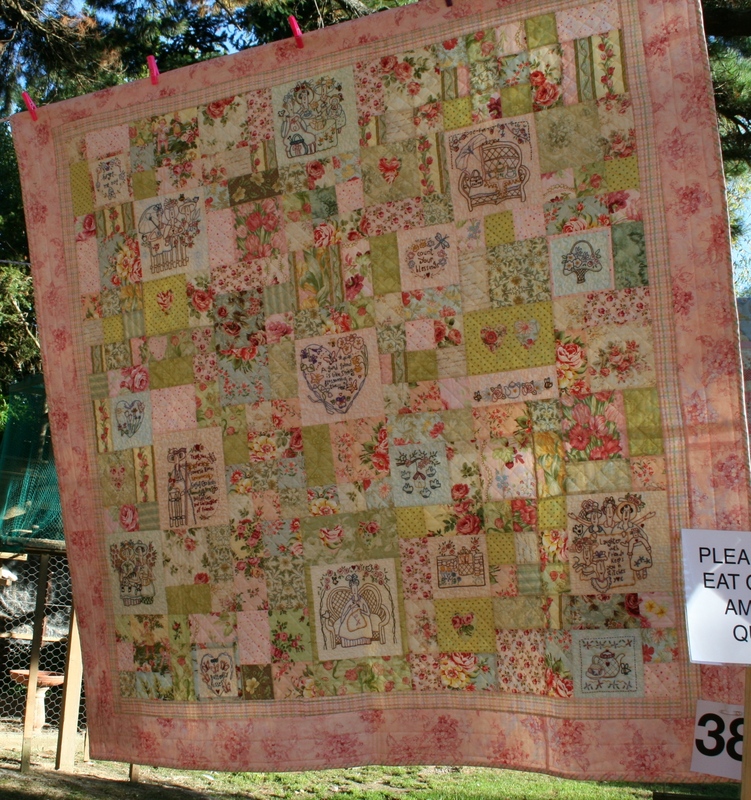 This is the judged Challenge winning table runner, designed, made and quilted by Christine Singleton. 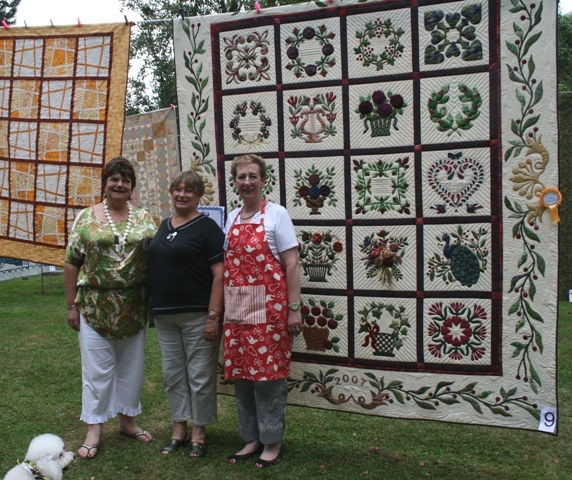 This is the winning quilt by Fyvie Murray for Best in Show and Viewers Choice categories, pictured with Fyvie in the centre is Helen Kelland from Te Omanga on left and Yvonne on right. 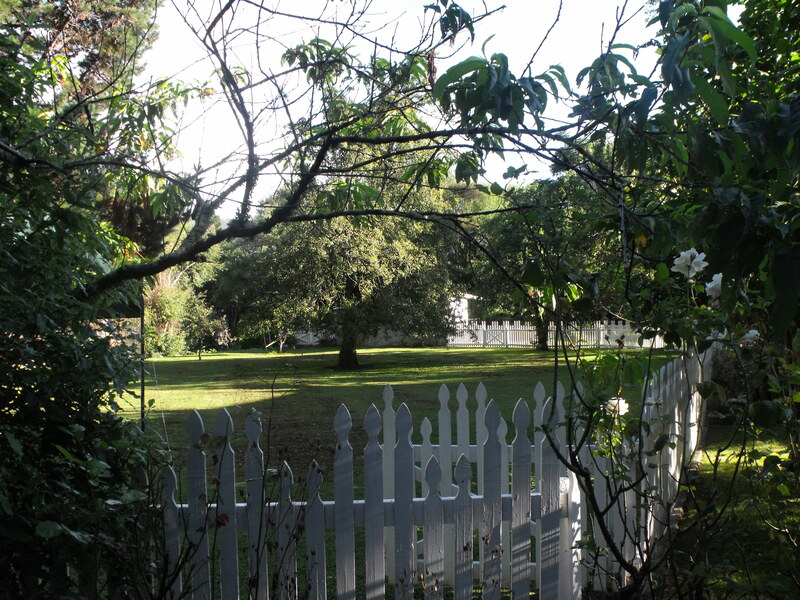 Thank you all for your wonderful support and until the next time and more photos. 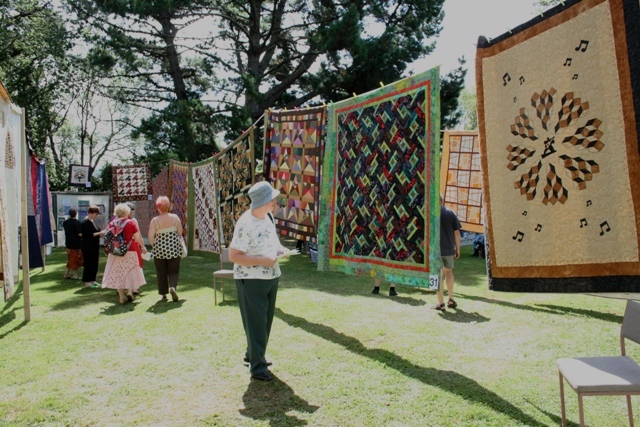 Glen from Wellington Sewing Machine Services will be here, so if you require advice about your machine you can speak with him and we have spoken to the ‘Bouncy Castle’ man and he is coming to site that again too, we shall also have the First Aid man ( George the Physio ) here as well, and of course there will be Devonshire Teas available, there will also be a limited quantity of bottled water available for purchase. 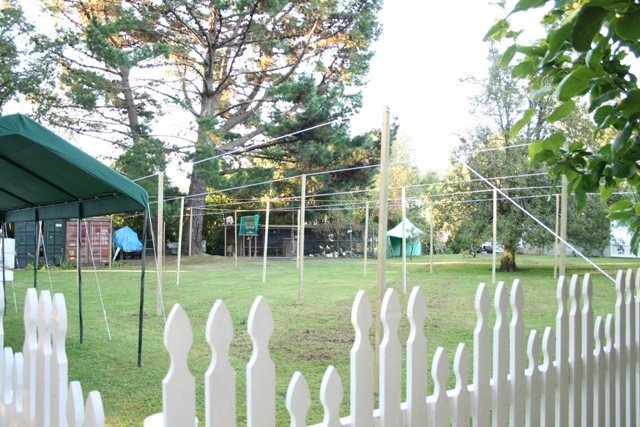 We have been overwhelmed by the offers of help on the day, thank you all so much, this has been passed onto the person dealing with that and you will be contacted if she requires more assistance. 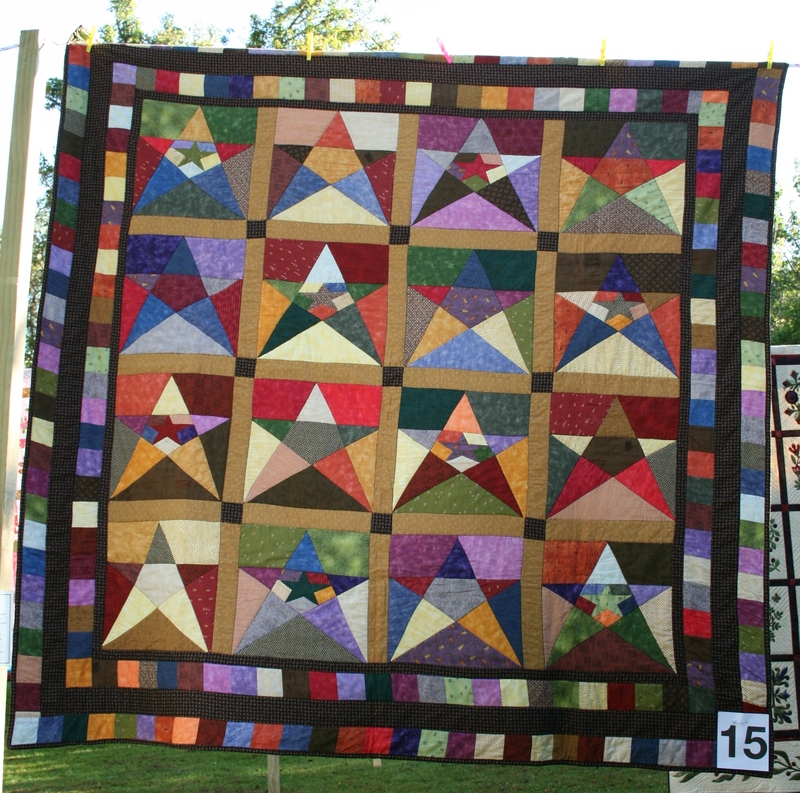 The Festival opens at 10.30pm on Sunday as will Sawmillers Quiltery, this is to allow time for the judges, the official prizegiving is being held at 4.00pm.